Are you looking for an Individual and Family or Medicare plan? We can help answer those questions and help you find a health insurance plan that suits you best. Request a quote or browse the topics below to learn more. The larger the network, the more doctors and drugstores there are in that network. Larger networks tend to have fewer limits when you need to find a doctor or prescription drugs. But, it also means the health plan may cost more. Keep in mind that even though we offer out-of-network coverage too, you'll save the most money when you see a doctor or visit a pharmacy in your plan's network. If you have a doctor you'd like to keep seeing, you can use our Find a Doctor search tool to be sure your doctor is in that network. You can also look up the cost of a medication with our Find a Drug tool. 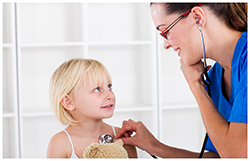 *Blue Cross NC has collaborated with Duke Health and WakeMed & Carolinas HealthCare System. Blue Local is a health insurance plan offered by Blue Cross NC with a limited provider network. Duke Health and WakeMed & Carolinas HealthCare System are independent companies and solely responsible for the physicians and medical facilities it owns/operates and does not offer BCBS products or services. Give your employees the ability to choose between four plans for the benefits that best suit their needs. All you have to do is establish your core plan and choose a second, richer plan from our many options for those employees who need or want more benefits. Fixed contribution - Set your fixed dollar amount or fixed percentage for the low or core option. Employees who want the higher option, or richer benefit plan can choose to buy up to that plan. Your cost stays the same. Customize your coverage - We know business needs change. With Hi-Lo plans, you can choose between four plan options. You'll also be able to adjust your plan choices year-to-year without changing insurers. Take more control of your health care budget with a fund-based health plan. Our HRA offers several funding options (first dollar, last dollar, shared bridge and modified bridge). You can also pro-rate contributions for employees who join mid-plan—all without any additional premium cost. This option offers groups with at least 26 eligible employees the advantages of a self-funding plan. Balanced Funding also gives you greater flexibility in meeting your employees' needs. Because these plans qualify as self-funded, you'll face fewer state and federal regulations as well as ACA mandates. † Blue Cross NC is the plan administrator and contracts with HealthEquity, Inc., an independent entity, to perform certain HRA, HAS and FSA administrative services. †† HSAs and HRAs can be paired with any high-deductible health plan with an eligible deductible. These benefits are commonly provided by employers to help reduce employees’ high out-of-pocket limits. Choose fully insured and we'll underwrite your group's medical expenses as well as provide full administrative services. Our self-funded option offers control and flexibility in plan design for large businesses (more than 100 FTEs). Self-funded arrangements (sometimes referred to as ASOs) allow the business to fund their own health benefits and claims while BCBSNC provides all or a portion of administrative services. This option offers the advantages of traditional self-funding plans, but with the stability of full coverage. Balanced funding also gives you greater flexibility in meeting your employees' needs. Because these plans qualify as self-funded, you'll face fewer state and federal regulations as well as ACA mandates. The Dental Care Resource Center has the information and tools you need to get a healthy smile. Read helpful articles, get tips for good dental health, check symptoms or find answers to frequently asked questions. *Non-participating providers may bill members the balance for amounts higher than what is allowed for out-of-network. Blue Cross NC offers a variety of simple plans that best fit your business needs. Each plan has unique features, but no matter which you choose, your employees get great coverage and the option of choosing in-network or out-of-network benefits. Our Blue 20/20 plans offer your employees a wide network of vision options. They can choose from independent eye doctors or retail chains and online vision products. Each of our plans has unique features along with great coverage for both in and out-of-network benefits. Plus, no ID card is needed for in-network vision care. You can choose between employer-paid or voluntary coverage. And, if you purchase with a medical plan, you’ll get one bill and one enrollment to save you time! Our Preventive Care Services List shows you which services and prescriptions are considered preventive and covered at 100%. Prime Mail delivers a 90-day supply of medications by mail right where you want them. No driving. No waiting. Already getting your prescription drugs by mail? 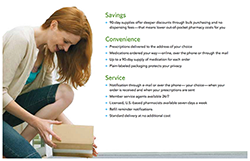 You'll need to shift existing mail order prescriptions to a BCBSNC Pharmacy Benefits Manager to keep receiving them. 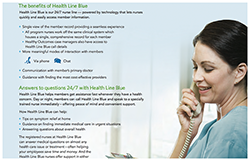 Health Line Blue connects you to a trained nurse, 24/7, to get your health questions answered. 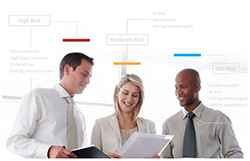 Wellness Programs give basic, low-cost options to help you improve your health. You have a direct line to a trained nurse all day, every day to get your health questions answered. Or if you just need help deciding where to go for your care, our nurses can help. Building a culture of health for your employees is not only good for their well-being, it's good for business too. Blue Cross NC has a wide array of wellness programs and services to fit your needs. 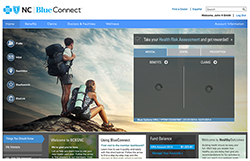 More information is available through the Health Insurance Marketplace at healthcare.gov. Please use the form for more than 50 FTEs. Thank you. Please use the form for less than 51 FTEs. Thank you. * Blue Local with CHS product is only available for plans with a 1/1/2016 or later effective date. Find out more about the premium rate increase (pdf) for group plans. Blue Cross NC is one of the World's Most Ethical Companies. Ethisphere Institute reviewed nominations from companies in more than 100 countries and 36 industries. Covered in more than 200 countries and territories worldwide through BlueCard® program. Blue Cross and Blue Shield Association. Not all plans have statewide coverage and not all plans are available in all counties. Certain preventive care services are covered at 100% before deductible when received in an in-network office or out-patient setting. Other covered services may be subject to deductible and coinsurance. When you receive preventive care out-of-network, you may pay more. Visit bcbsnc.com/preventive for a full list of preventive services. For businesses with 10-50 FTEs, the Hi-Lo option is only available for plans with a 1/1/2016 or later effective date. Special conditions apply. Please contact an agent for more details. Blue Cross NC offers Healthy Outcomes programs as a convenience to aid you in improving your health; results are not guaranteed. Blue Cross NC contracts with Optum, an independent third party vendor, for the provision of certain aspects of Healthy Outcomes programs and is not liable in any way for goods or services received from Optum. Optum does not provide Blue Cross and Blue Shield products or services. Blue Cross NC reserves the right to discontinue or change Healthy Outcomes programs at any time. The programs are educational in nature, and are intended to help you make informed decisions about your health, and to help you comply with your doctor's plan of care. Decisions regarding your care should be made with the advice of your doctor. Blue365 offers access to savings on items that Members may purchase directly from independent vendors, which are different from items that are covered under the policies with Blue Cross NC. 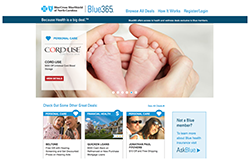 The Blue Cross and Blue Shield Association may receive payments from Blue365 vendors. Neither Blue Cross NC nor the Blue Cross Blue Shield Association recommends, endorses, warrants or guarantees any specific Blue365 vendor or item. This program may be modified or discontinued at any time without prior notice. This program is provided by BCBSA and not Blue Cross NC. Consult your legal or tax advisor for guidance. Final determination of eligibility and/or amount of Small Business Health Care Tax credits can only be obtained through the Health Insurance Marketplace.